I have felt betrayed for so long and now I am so filled with joy and emotion that I am fighting back tears. I understand! Believe me I understand! Still can’t believe that Christie endorsed Trump, really happy about it, bc for all his faults, the one thing Christie is fantastic at it’s shutting down the media, and it’s pretty delicious to watch it. I know it is a big endorsement! Christie is like Perry Mason! Christi emphasized loyalty which obviously Rubio has none. Might be an AG job in the future. He would go after Hillary and refuse a paycheck to do it. I like Christie’s boldness, articulateness, and intelligence. I don’t like his appeasing of Mohammedans. That has got to go. Sharia followers are seditious of our government; if he even hints that he will prosecute us for speaking that truth, I want him gone from the national stage. Trump must be made aware of the cables being cut to the CNN and MSNBC feeds. I’m sure he will be. This is who we’re fighting folks. They don’t want to give up power. We gotta take it from them. I was assuming some over zealous Trump supporters did this – and, like David Duke, this doesn’t help him. That wouldn’t make any sense,sounds much more like the work of a protestor, probably would have cut Fox’s feed too, but maybe they didn’t get the chance or maybe was located in different area. Amen. Amen. Amen. This is about taking away power from the central power brokers and giving it back to the voters. The GOPe is done. They can play all the dirty games from here on out, but they are done. if the end comes to the GOP DONALD TRUMP will definitely be blames for it????? and what the h— is this choker [DJT did spellit correctly!] that little weasel is going berserk over DONALDS spelling—and it is RUBIOwho cannot spell. And, this COLLEGE debocal—- the students that brought law suites – oops. mispell! – did not do thgeir part ‘to learn and excel!!! Damn them all. I hope the addition of CHRISTY is going to make DJT even better. you can go to the best schools/colleges and if YOU don’t work hard to learn then you do not succeed and this is the ase with the Trump college dispute. What else are these B*****rds going to do tomake ‘mountains out of mole-hills! Trump ‘wetting his pants’??? what is THAT all about? it just keeps getting weirder and weirder. Rubio & Cruz HAVE TO BE STOPPED—–SOMEHOW! MAYBE MORE STRONG PEOPL COMING ON BOARD??? Romney’s coming endorsement of Rubio will be a nothing burger. Two boring losers vs two of the best street fighters. Game. Over. walks like a penguin …. It will do more harm than good. That is the GOPe method of operation. Romney will not endorse anyone. He’s praying for a brokered convention. What Rubio is missing here is why a lot support him = He Sounds Pretty and He Looks Pretty. Many low information Evangelicals Like Rubio for the above. Now Rubio Sounds Petty and Vicious and Looks Sweaty. Much more of this and his looks pretty and sounds nice crowd will move on if his petty rants go on much longer. He is stepping into the trough to lose 25% of his supporters as they will rate him like a Trump – bombastic, but they will move to Trump as he at least gets things done. The Christie Endorsement is YUGE as it means the GOPe are losing some of their flock and it also gives Christie a chance to go back to his roots as he leaves the untidy nest of the GOPe. Christie can be a excellent campaign ally if he is used as the attack sword and deflect shield. meanwhile FOX is cr..ping their pants as they thought they had Christie fully under the GOPe shield. And now he can return to his more vulgarian roots. Oh I forgot. Huckabee endorsement on Monday would be perfect to help Trump in Arkansas where he is struggling a little with the back woods, down home Christians. So Huckabee could deliver some votes there for him. I am hoping for a Huckabee endorsement at the Sunday Huntsville, Al rally. That would be perfect IMO. I said the same thing! I hope it’s coming! @SOT i disagree with your assessment of marco. hear me out. why would marco not get into this race? i mean just use your own description of marco, and the way CTH describes marco. a young, handsome, first term senator from a populous state, politically inexperienced, minority male, with no real world experience either. his background is shady at best, and the only reason we know anything about him is what conservatives have gleened. i mean why not jump in? does that description sound familiar? the dimocrats elected a person just like that two times. so why would little marco not think it was his turn? i think you’re being to harsh on little marco. i’ll give you those. but c’mon, don’t be so harsh. the thing is, in these days of the uniparty, i think the only criticizm of little marco that we could both agree on, is if he had entered the race on the D side, he would be their nominee. think about it. a turncoat conservative. not as socialist as bernie, but still socialist enough. and without the baggage of YKW. don’t be so harsh on the boy……………. Agreed. I’m thrilled with Christie’s endorsement, and I’ve also been wondering…I’m a simple soul, so can someone please explain a couple of things to me: Rubio has lifted his button nose in the air while morally preening against the insults of vulgarian Trump from Day 1, piously informing us that voters don’t respond well to negative comments. So how does his mud-slinging in last night’s debate and today’s comments help him win those voters? Also, how does Rubio hope to storm the retiree-laden Florida citadel with comments like old-man Trump is afraid he wet his pants? This is about 2 things that are linked… Florida and Donors. He knows if he doesn’t do well on Tuesday (pull out a couple second places) the likelihood he can pull-out FL goes down, and without FL his donors are not going to bother funding this brokered convention madness. He’s at least 20 pts. Behind. Trump. We DO NOT like him in Florida…he has misrepresented himself twice. He’t toast in Florida. Trump mentioned today that there was a puddle around sweaty Marcos feet when Christie hammered him…and he said he wanted to know what that puddle was! In case you missed it its in the presser when Christie endorsed. Thank you, Mr. Trump, for keeping the memory–and the HORROR–of people who have died at the hands of illegal criminals, fresh in our minds. I want President Trump to stop these ANIMALS from getting into our country. These people, these US citizens, are martyrs, by the evil that has taken over our nation! Also all that died in NYC, San Bernadino, and other places across this great nation where government overreach and corruption and government refusal to follow the law of our land, have been martyrs! The police, the first responders, the military members all lost due to this Cabal’s uncaring greedy cynicism. It’s happening in ITALY too. My little cousin age 14 just killed walking in a crosswalk by an illegal who was driving drunk. In the Alps were there is hardly any traffic. The family is DEVASTATED. Illegals are not even allowed to have driver licenses there. I disagree with calling them ANIMALS though, the noble animal kingdom always getting blamed for our crimes 🙂 Perhaps “monster” is more appropriate. Vermin! So sorry about your cousin-the Italian Alps are beautiful. I live in Santa Maria so I know that case well. Their was also another case of an attack by an illegal in the next county over from me, a toddler was beaten so badly she had to be transported by air to children’s hospital all her limbs we’re broken. He was released on bail and of course never showed up for court, another one that had many arrests and releases. Wow, a strong speech and an incredibly enthusiastic crowd. Great event! Trump has a good chance at winning Texas. He will win every other state on Tuesday. Landslide, folks. LOL! Oh that’s great – ha! Trump points out without actually saying it — We should start asking if Rubio uses the debate podium, the Sotu address rebuttal and the campaign coverage to ENDORSE a product, the water bottle company. Is it always the same brand? or is there an endorsement from the water bottling industry/lobbyists? I’ll watch that later. On way out the door to go downtown to see Trump. Later treeps! Have fun! Keep us informed! am so looking forward to a TRUMP hitlery debate! you guys are really smart and knowledgeable..when can we see this happen? If you think @marcorubio seemed unhinged today. Wait until Tuesday night. Marco Rubio is WHITE TRASH. He speaks gutter talk at his rallies. IMO he does dope, speed or coke AND adderall as some are saying. Maybe he’s going cold turkey on the stuff….the meds, or whatever. He sweats like the mob is after him. Thinking about last night debate…Trump stuck in the middle of the beano brothers; Clowns to the left, chokers to the right. Yup, I have officially adopted that song as my personal election 2016 theme song. anybody by chance just hear Rush? i heard most of Trump’s rally driving in the car (on fox news, go figure) and flipped over to Rush afterward. My goodness, Rush was ranting and raving like Levine about the rally mention of “Merry Christmas”, he has definitely jumped the shark. Fun to watch the meltdown. i was actually shocked to hear him like that, babbling in a falsetto for a good minute or so. definitely sounded unhinged. never rule out the obvious explanation. He has lost his mind. He is a madman gone over the edge. He may require intervention. Talking heads exploding–only Trump can make people this crazy. Actually, it’s not Trump, it’s TRUTH. Trump is only the messenger. Rush was losing his mind on his show today. That was the apex of it. I really feel sorry for his staff having to watch him melt down like that. I am sure he lost a good number of listeners today. Rush DID lose listeners today. My hubby and I are 2 of them. I’ve been telling my husband that Rush has been different lately. Hubby has been telling me that I’ve been imagining things. Today he admitted that I’m right. We’re both done. Rush was just too much today. According to him, Rubio had Trump on the ropes all night, and Cruz was above it all with his logic and clarity on the issues. Bull-loney!!!! RUSH and LEVIN are on the ropes and going down! bet on it! Rush was so berserk, I thought he was self-medicating again. PATHETIC. Snerdly turned in his resignation and starting with the Trump campaign on Monday. Oh God forgot about that “Mr. Snerdly” silliness. So infantile. He lost me as a 24/7 subscriber and daily listener this past December when he started to glorify the Canadian Migrant. At least his company refunded the remainder of my pre-paid subscription quickly. I canceled my subscription to The Blaze TV in Spring 2015 (when Glenn Beck and crew gleefully started to mock and slander Trump). They would not refund the remainder of my pre-paid subscription. I received an email from EIB billing informing me of my $26-something refund to my credit card in the next billing cycle or two. I have had it up to here. No more Rush. Sad. Rush charged my credit card again for 24/7 AFTER I cancelled membership. Is that what they mean nowadays as self-proclaimed True Conservatives? Can someone get the hook for El Fatso? He id babbling incoherently live on national radio. It is embarrassing. I think Oxycodone has affected his brain cells. IMO, it’s a terrible blow to his ego (and financial bottom line) that Trump’s is so successful without investing a penny in radio ads. Meanwhile the wannabes who did buy radio advertising are failing miserably. Think of if Rush would have played this differently, he could have had mega yuge ratings increase with Trump interviews. But, oh well, you lose when try to force being the coolest kid on the block. I totally agree. Totally. I feel like we’re witnessing a Dr. Jekyll, Mr. Hyde moment. Yes, facebkwallflower .. Rush simply rolled the dice and bet on the wrong horse. It wasn’t as if he shouldn’t have known better; heck, his listeners have been telling him for months that he was on the wrong track. But he wouldn’t listen. We told him we were done with the precious GOPe as they had stabbed us in the back for the last time, and because he was at least acquainted with Donald Trump (they aren’t actually friends I don’t think) I thought Rush would use his keen powers of observation to get the message. I was wrong, but so was Rush. I feel no pity or sympathy for him whatever. It’s past time for him to retire anyway. He won’t suffer except for his ego. Except he will be a very bitter loser and never ease up during President Trump’s full terms. 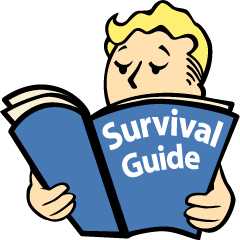 He will work overtime, starting with a base of Cruzaders and Rubioities and work them up and get them all foamy, to undermine Trump each day, each hour, until we see he has gone full nuclear progressive-style Alynski. Wonder what clever names he will come up with for us? He should have quit while he was ahead and still respected. Let him rant to his audience of ONE in the MIRROR. He took the wrong sides because he is part of the establishment! He loses money too. When we the people have someone work for us then who is rush going to bash about! It’s all money! Your just more tuned to his incoherence now since Trumpster exposed his left / right, conservative / liberal dog and pony show for the whole world to see. But he has been doing this for years — remember Dubai Ports and no American deserves a job, etc. He was just more clever then, since no Patriot leader was on the scene to rebut his babble. Rush’s game has always been to allow Diito-Heads as callers with a few left wing extremists but never a real Independent to challenge him ; if one slid by Snerdely Rush would cut him off an filibuster. Ditto-Heads have been played for fools by this big money Globalists who could care less about middle class Americans. Rush and his ilk need to go permanently replaced by Patriotic talk show hosts. Do not allow him, Fox or others to backtrack if Trump wins by a landslide — they cannot be trusted ever again. A lot of fear in the tabloid talk show hosts. They know their time is drawing near to an end. You’re right, they will be replaced with true Patriotic talk hosts. Perhaps even we will have some that promote happiness and inspire people, talk of the great things America is doing, instead of peddling anger and fear. Perhaps it’s just time for all the anger to go, and start doing something about it instead of ranting and raving day in and day out for YEARS about it. If people continue to stop listening to them that will happen sooner rather than later. WAYNE ALLEN ROOT is one such very positive guy. Another is BILL MITCHELL. There are many great radio hosts in the wings that will arise in a Trump administration. Haven’t listened to Rush in about 4 years, but I turned him on today. Has his voice changed. He is starting to sound a little like Slick Willie. That was one of Trump’s best rallies thus far!! The crowd was electric and I was cheering along! So excited to see the movement to take our country back and make her great again! I am pleased to share that today, my husband John, a 105-year-old World War II vet, cast his Virginia Republican Absentee Ballot for Donald Trump. My husband feels strongly that the country is in great trouble and Mr. Trump must make it whole again. Wow! Please convey my gratitude and respect to your husband for his service to our country. I share his sense of urgency, as so many others feel as well. We are indeed at a very decisive crossroads and we must take measures to avert the end of our Constitutional Republic. God bless you both! Congratulations and thank you John! You are a great American! And you are absolutely right that a vote for Trump is a vote for returning our country to greatness. Poor old Rush….his true colors a coming thru.. This is what you see now on the Dittocam? I went to the site listed on the pic. TRUST ME when I say this: there are even WORSE pics and animations of RUSH LIMBAUGH in the “pig” section” on that site that a person can never unSEE! OMG! Let’s just say Alice really really hates Rush and Cruz. need brain and eye bleach…think puddy, wee or stella had it last. I’m personally all right with your being over come if graphics like this one are the result. Thank heavens I stopped listening to Rush weeks ago. Ew! LOL How does poor snerdly put up with that blowhard. Looks like Jabba the Hut’s brother. He’s all set up for Glenn to come over for a snack. Christie looks MUCH better shirtless on the horse than THIS. Oooooooo-kkkkaaaaaaaayyyyyyyy. That’s disturbing. Need to go find my Pepto Bismol. 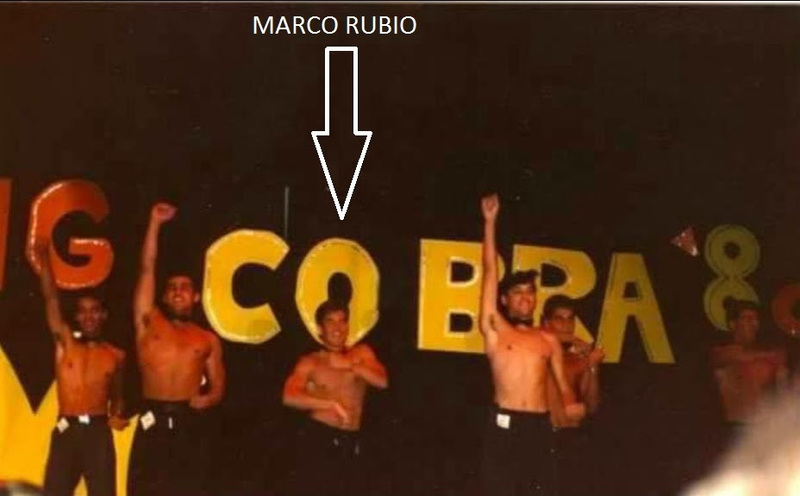 Carly Simon , Your So Vane, fits Rubio like a glove. Old fashioned detective work is needed again and yes official warrants matter for a free society. Everyone in the US should thank God and say a prayer for every troop and veteran who have stood above all to fight for our rights granted under the Constitution.that was fought for so hard by our ancestors 240 years ago. don’t be fooled by fbi wanting to open the CA phone. that is just a pretext. the fbi is trying to get into eleven(11) other phones in cases in different states. these are not connected to terrorism. terrorism is just a pretext. ACTUAL CALL TO TEXAS RADIO STATION !! What’s the gist of it? I am at work and can’t play it. Unbelievable. That’s Texas, folks. Never forget Rick You-don’t-have-a-heart Perry, a bible-thumping RINO. Robio may still being stand up dance on weekends and Rush was watching and got filmed. I want to applaud and encourage the funny creative photoshop artistry and lampooning of late. We need to laugh as well as pray every day. Laughter is so good for the body and mind. Prayers work for everything. I like the TX-shaped sign someone was holding up with theconservativetreehouse.com. I saw that! It was amazing! Where? I didn’t see that! I saw it in the short clip on nbcnews article about the Christie endorsement. goingSunny THANK YOU! Finally we get to see what all the Treepers here are mentioning about CTH being in the rally. WoW! CTH website is written on the back of that supporter’s Texas-shaped sign. AWESOME! Second time this week a Treeper made it on camera at a Trump rallly! I see that now. COOL! Rubio has his new little “con man” unmasking speech. He’s repeated three times in one minute. Fox and CNN live with Rubio. 4th time he’s reported. 5th time he’s repeated it. 6th time. Tape recording playing on a loop. 7th time. Add he couldn’t win the foam bathhouse strip dance contest either. Nah, that’s not what he’s thinkin’. Look at that mouth. It’s stuck shut. He’s thinkin’ where’s my water bottle, where’s my Molly? Plus that whole sucking in his lips thing: DECEIT. Whoever has the Political or Monetary Power is the one who politicians will try to join and be friendly, Chris Christie is the first of many who are willing to cross over from the Wall St-Globalist-GOPe axis and start putting America First. If the Globalist control both the trade and policy, it benefits Wall St and hurts Main St.
Trump, just like Ronald Reagan before him, had to make the stand against Overwhelming power the Establishment wields, its tough, but doable, yet many people who attempted were destroyed along the way, every now and then, after many decades, their is a winner. young and new politicians now have a choice to choose from and many thanks to Chris Christie. Even in the American Revolution there were many “ricebowl converts” who switched to the American side only after a lot of the hard work had been done. It’s human nature. Once they switch, many of them are genuine and loyal. With the political class, a lot of them will switch, and a lot will not be particularly loyal. However the Trump Paradigm turns them back into employees of the people rather than little tin gods or aristocrats – -that in itself is revolutionary. And as employees they don’t have to be any more loyal than any other reasonable employee of any business. It won’t be long before the slow wits in the media start doing covers like “America, Inc” and “America Open For Business Again – But For How Long?” and similar crap. What a difference a week, your own states primary and a fat guy makes! LOL. Screw you Nikki, I understand you’ve realized you made a bad decision but it’s too late now. Your state of SC will vote your pearly white teeth, hit job state of the union giving A$$ out of office! You and Tim Scott. Don’t get too comfy! Trump doesn’t own any low-class hotels, but if he did he might offer her a job running one of them. That’s what her people are known for isn’t it? Cause she’s going to need a job after the people of SC run her anti-Confederate @ss out of state government. Yes, why am I not surprised. She knows she picked the wrong horse, now she is stuck with it. Dear Lord, save us from these imbeciles. Read on here at CTH that people of SC are suing her over letting in unvetted Moslem immigrants. Maybe she won’t be governor to the end of her term? You see what comes of letting Rubio have a little success in last night’s debate? He’s all over the TV calling Trump a con man and reading misspelled Tweets. Trump needs to shut the anchor baby down, and attack him with his pro-amnesty/pro-illegal invasion record, not just that he sweats under pressure. Rubio isn’t going to run out of money and just go away. Time to slam him hard, include the Border Patrol\ICE hating him for ignoring them, as well has plenty of more material. Till now I think Trump has been holding from going after Rubio hard, letting Cruz do it, but it seems pretty clear Cruz will drop and endorse Rubio like the faker that he has always been. 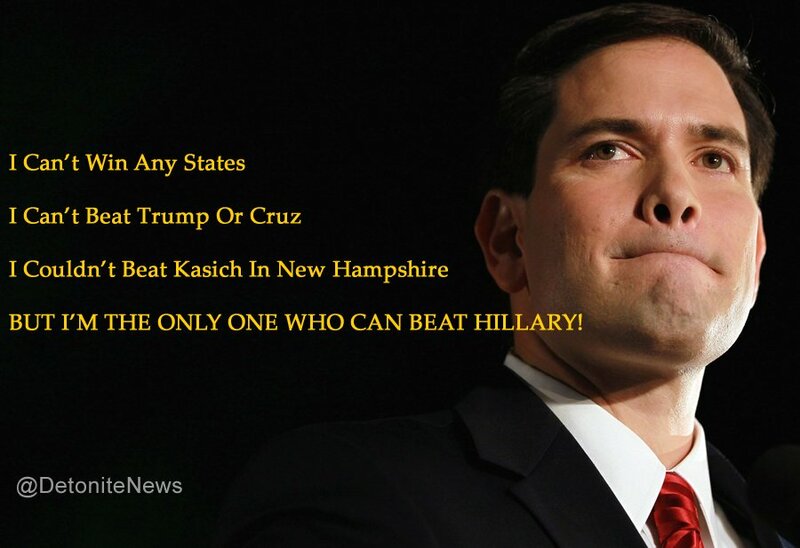 Yes it’s time to go nuclear on Rubio, though he may want to wait till Monday morning if possible. So, people with the bad character that produces unstable temperament, are still pushing the lie that Trump doesn’t have a Presidential temperament. Like Reagan didn’t have a Presidential temperament? “I Am Paying For This Microphone!” – Ronald Reagan. Ruboy needs to go down and disappear from the political scene. The goal has to be to make sure he never tries to run again. He’s is so corrupt, it’s not even funny. He posted a violent image of a watch to sell on his campaign web site thinking it was clever marketing. To idiots, maybe. They can pay their $10 or whatever they can to assist Ruboy’s fortune. Donald would have sold quality watches if he had poor while Ruboy illegally fleeces the Floridians in a position of power gained via football in highschool and probably graduated on a bribe from his drug dealing millionaire brother in law. Just to add, an investigative journalist discovered the among other wretched details that Ruboy met his wife at a foam party. This photo is not a harmless highschool talent show for fun but from a gay party! It’s worse than we thought. No wonder Nikki who has stopped endorsing Ruboy. He’s a fraud trying to represent himself as the Conservative choice. He possesses very little moral. Let’s not forget how the fraud duped the tea party to get elected, Cruz too. Is this the FULL-throated conservative, Rush was talking about? How much more can they say without saying it? just got back from the speech in ft worth. shortly before it started i noticed people checking news/social media on their phones and then saying things like “omg, christie just announced that he was endorsing trump” etc….then when the announcer said chris christie was taking the stage the crowd went nuts. smaller venue than the dallas rally back in sept, but there was easily between 3 to 5 thousand people there for a middle of the day event, maybe more. So great! Thank you for the update! There was a guy there with a treehouse sign, did you see it? grrr, no….but if i had i would have straight up walked over and said hey!! i’m porkchopsandwhiches brotha!! i was sorta in the middle towards the back….just as christie takes the stage and as the camera begins to zoom in on him theres a guy with a “i vape i vote” sign….i was standing to his right and just behind the guy with his kid sitting up on his shoulders wearing the light blue shirt. Woohoo porkchop … I saw that IvapeIvote sign and you were right beside him? I’ll go look again. I know that had to have been exciting to have been there as the Christie endorsement took place. Amazing! We are insanely jealous. yeh i was right there in the shadows, i had a dark grey shirt and black ball cap. i don’t even see myself in the footage but i’m there. yeh the christie thing blew everyone away. The harpy I think is Carol Costello. She was horrible to these ladies! Her laughter right from the start was the kind of fake-condescending laughter of a great aunt for a silly child she really does not like. Then during the interview she actually takes on that scolding schoolmarmish tone, as if her guests were hers to train. Any interviewer should know the names of their guests, and who is who with two guests. Carol Costello didn’t bother. And she covered up her own blunder in calling the wrong name with derisive laughter thus showing the true racial prejudice inherent in CNN, as well as their Democrat owners. It is very plain in this video, that since Lynette and Rochelle are off that plantation, they are only there as “guests” to be ridiculed and disrespected. I am sending this to CNN. They should apologize to Lynette Hardaway and Rochelle Richardson for Carol’s behavior and display of racism! You think Rubio is sweating? Wait till Trump gets ahold of Hillary. She’ll be sweating bullets and probably cough herself to death. Today on RIGHT SIDE BROADCASTING (RSB) we had 17,000 watching and chatting on their airing of this Trump rally. And that is just ONE of the youtube channels that was airing out. It was electric, so many people love Trump. If I had to guess. I think Trump’s internals show him winning TX, and BIG. Just from how he was talking. The rally was incredible! We didn’t know until a few minutes before Christie came out that he was endorsing Trump and would appear. DJT was so inspiring but my favorite off the cuff moment was the water bottle thing. Love his sense of humor. Love this guy. What an exciting event for you to witness, McG, the Christie endorsement was stellar. Thank you for the shout out – excellent job and all for a GOOD cause! It definitely was one of the topics discussed here and we had hoped whomever it was would let us know. I believe 2 people dropped by and said they had been prompted to visit because of your CTH sign. I suspect there were probably a number of others who also saw it, were curious about this site and stopped by to check us out but they didn’t post. Trump. Use this for your campaign. Let’s stop taking our history from us. If you do not like what it says stop reading it. If you don’t like a picture stop looking at it. If you don’t like The USA and what it Stands for then Leave.